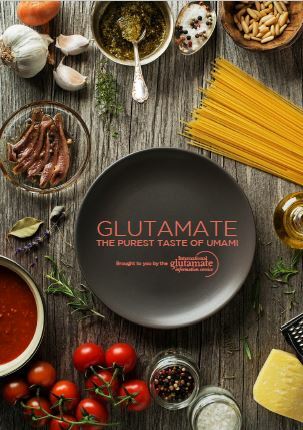 Because glutamate is the source of the unique taste of umami, it enhances the natural flavor of many foods. It is most effective when used with savory foods that contain protein such as meat and vegetable dishes. 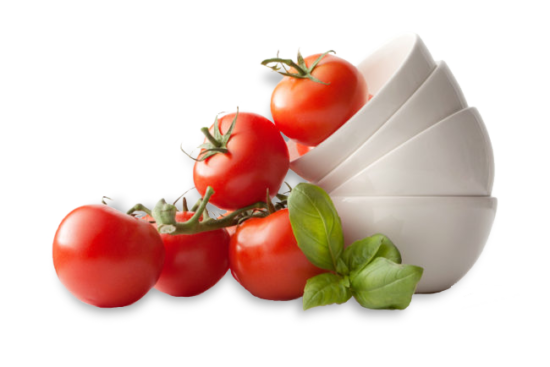 It also harmonizes well with salty and sour tastes making glutamate effective in various sauces and dressings. Glutamate can also contribute to our overall health. Salty and fatty foods appeal to most of us because of their flavor, but it is generally recognized that a high-fat and high-sodium diet can contribute to the risk of coronary heart disease and other health problems. Monosodium glutamate (MSG) contains about one third of the amount of sodium of table salt. Although glutamate is not salty itself, using a small amount of MSG in a low sodium product can make it taste as good as its higher salt counterpart. While ingredient preparation and seasoning to enhance umami has been part of our food culture for millennia, the discovery that glutamate is the key to this basic taste is much more recent. Umami is a basic taste, our fifth with sweet, sour, salty and bitter. It is the taste that signals savoriness – protein from meat, fish, dairy products, and vegetables. Glutamic acid is one of the 20 amino acids which are building blocks for all of the proteins in the body. Because it is made by the body as part of normal metabolism it is a non-essential amino acid. As it is one of our basic tastes, it is not surprising that increasing umami in food is part of cooking culture all around the world. From ancient times to the present day, cooks have used ingredients to increase umami and savory tastiness. The fact that we have evolved to taste glutamate is not a surprise once we realize that it is an amino acid found abundantly in food. It signals the presence of protein, our dietary source of the amino acids we need for healthy growth and development and for normal metabolism throughout life. Glutamate is an important amino acid present in virtually every protein in the body. It plays a vital role in the function of many of the important organs, including the brain, and in healthy metabolism. The body does not distinguish between the glutamate occurring naturally in food and the glutamate added as seasoning – monosodium glutamate (MSG) brings nothing new to the diet. The way in which we hunger for the tastes we need is demonstrated by nutrition studies among infants. Newborn babies have been shown to enjoy sweet and umami tastes and to dislike sour and bitter tastes. Umami taste may be recognized even before birth as human amniotic fluid contains significant levels of glutamate. Human breast milk, the sole source of nutrition for most children in their early months, is very rich in free glutamate. Indeed a newborn, breastfed infant consumes free glutamate at levels far higher, for its weight, than we do from our diet later in life. COOKING is a way of increasing umami in savory foods. Cooking results in the release of free glutamate and other umami substances, enhancing umami and creating a deliciously balanced final dish. ADDING GLUTAMATE OR GLUTAMATE-RICH STOCK: Increasing the level of free glutamate in a dish, during cooking or processing is a simple and effective way to increase umami taste and balance. In recipe development, glutamate is added at levels similar to those in traditional recipes. The taste can also be enhanced by using glutamate-rich condiments to season the dish before serving or at the table. TO REDUCE SALT: Adding salt (sodium chloride) to food is a traditional and popular way of enhancing the flavor and richness. However, too much sodium in the diet can be bad for health so many people are trying to reduce their salt intake. Studies have now demonstrated that by increasing the level of glutamate and decreasing the salt levels, the sodium content of recipes can be lowered by up to 40% with no loss in palatability. Learn more about glutamate and taste. Umami is a basic taste. The fact that we have evolved to taste glutamate is not a surprise once we realize that it is an amino acid found abundantly in food. It signals the presence of protein, our dietary source of the amino acids we need for healthy growth and development and for normal metabolism throughout life.